Cinematic icon and filmmaker Quentin Tarantino (Kill Bill Vols. 1 & 2, Pulp Fiction) helms one of the most audaciously inventive, eagerly-anticipated films of the year, Inglourious Basterds, coming to Blu-ray(TM) Hi-Def and DVD on December 15, 2009 from Universal Studios Home Entertainment. Starring Academy Award® nominee Brad Pitt (The Curious Case of Benjamin Button, Burn After Reading) in an audacious, adrenaline-packed, high-octane World War II revenge fantasy, Inglourious Basterds has been hailed as one of Tarantino's most stylish and entertaining films to date. 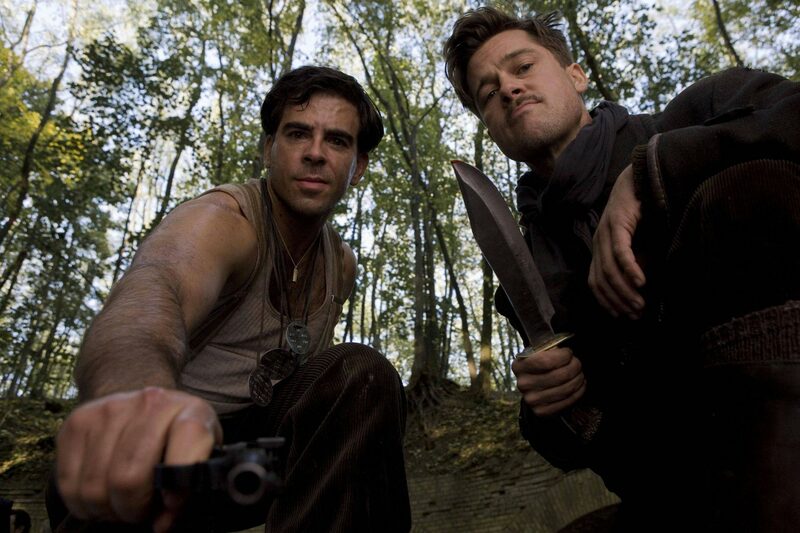 From its deceptively bucolic opening scenes to its incendiary final moments, Inglourious Basterds delivers a heady combination of fact and fantasy that never fails to surprise. Written and directed by acclaimed filmmaker Quentin Tarantino, Inglourious Basterds is available on Two-Disc Blu-ray(TM) Hi-Def, Two-Disc DVD Special Edition, Single-Disc DVD and download to own. Both the Blu-ray(TM) and Two-Disc Special Edition DVD come with a Digital Copy of the film for a limited time only just in time for the holiday season and over 90 minutes of startling and engrossing behind-the-scenes bonus features. Brad Pitt shines as the bodacious American commander of a lethal team of Jewish-American soldiers known as "The Basterds" - whose exploits in occupied France strike terror in the hearts of the German rank and file and enrage the German High Command. The acclaimed cast also includes Christoph Waltz, who was named Best Actor at the 2009 Cannes Film Festival for his unforgettable performance as a charming but cunning Nazi officer, B.J. Novak (The Office), Diane Kruger (National Treasure), Eli Roth (director of Hostel), Melanie Laurent (Paris), and Michael Fassbender (The Bourne Ultimatum). In addition, notable veteran guest stars including Mike Myers (Austin Powers), Rod Taylor (The Birds), Julie Dreyfus (Kill Bill Vol. 1) and others contribute to this larger-than-life story that mixes pulp and propaganda in Tarantino's inimitable way. Inglourious Basterds is priced at $39.98 SRP for Two-Disc Special Edition Blu-ray(TM), $34.98 SRP for Two-Disc Special Edition DVD and $29.98 SRP for Single Disc DVD. Preorder close is November 3, 2009. BD-Live(TM)-- Access the BD-Live(TM) Center with your Internet-connected player to download the latest trailers, host a chat with your buddies, upload your own webcam commentary, and more! Employing pulp and propaganda in equal measure, Quentin Tarantino's INGLOURIOUS BASTERDS weaves together the infamous, oppressed, real and larger-than-life stories of WWII.